Mothers across the country will be showered with luxurious bouquets, deservingly honoured on one of the most special days of the year, Mothering Sunday. Picking out the perfect bunch can instantly show your love and appreciation, but what are the deeper meanings behind the colours we choose? 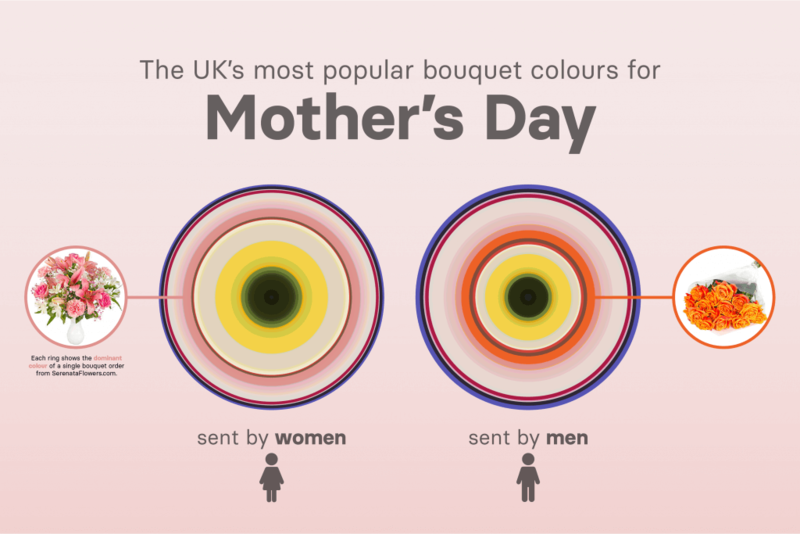 A recent study by Serenata Flowers, one of the UK’s leading online florists has uncovered the most popular flower colour choices and their meanings for Mother’s Day. It revealed that yellow is the top colour of choice for UK flower senders when it comes to Mother’s Day with both women and men opting for the most joyous of colours. Could the most dominant colour be a literal representation of how we are feeling as a nation? 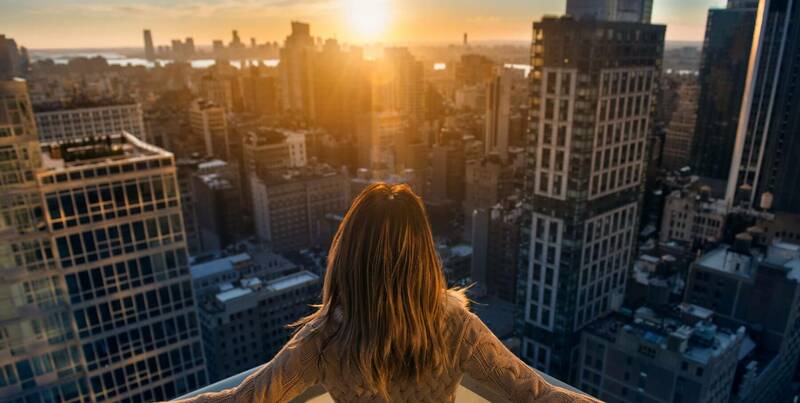 According to ONS, the number of people reporting ‘very high’ levels of life satisfaction increased by 4% from 2012 to 2017, that’s over 2 million more adults saying they’re happier now compared to five years ago. 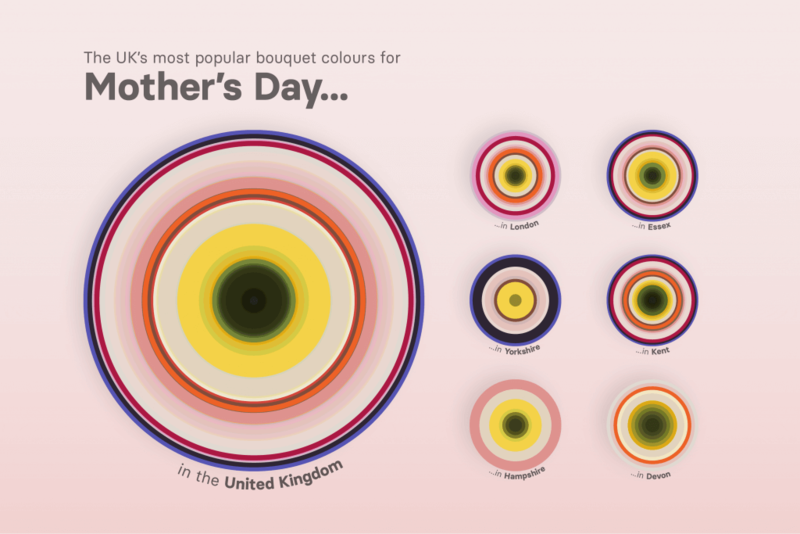 Londoners made the boldest colour choices when choosing the best bouquet for mum. Incredibly diverse both in population and bouquet choices, the flower fingerprints feature a vibrant mix of yellows and oranges which symbolize enthusiasm, excitement and exuberance, along with pinks and reds representing feelings of love, happiness and vibrancy. Could these choices be a direct reflection of the location, the more cosmopolitan the area, the more diverse the colour choices become? Further findings revealed that in the UK those whom spend over £50 tend to opt for both a classic and understated colour palette, choosing softer tones. White being the dominant colour, followed by equal amounts of creams and pinks. In contrast, colour does all the talking for those who spend £20 or less where a brighter arrangement is chosen with an eclectic mixture of orange, violet, yellow, pink, red and cream. The language of flowers, known as Floriography is a cryptological communication through the arrangement of flowers which dates back to the Victorian era and was used to share secret messages with friends and loved ones. Whether consciously or subconsciously, are we picking colours which link back to how we feel about a person and how we are feeling at the time? Are our own personalities shared through our colour choice or does our location and gender determine what we pick? As a nation of flower givers, it seems that we select flowers which represent more than the occasion of which we are buying for and this study has shown us that many factors can attribute to our colour choices. What colour bouquet will you pick this mother’s day? Find out the meanings behind flower colours with the new Flower Fingerprints by Serenata Flowers.